Real estate listings site Zillow — home of the controversial “Zestimate” — is in the regulatory hot seat over an advertising program for mortgage lenders that may violate federal anti-kickback law. 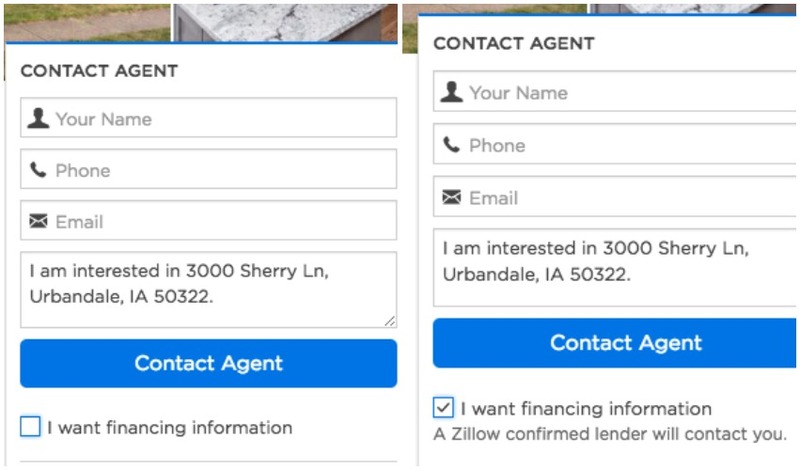 Realtors pay to post properties on Zillow, but the website also has a “co-marketing” program that lets lenders offset some of that expense by advertising on Zillow. The company’s most recent quarterly earnings report [PDF] revealed that the Consumer Financial Protection Bureau believes this co-marketing program may violate the Real Estate Settlement Procedures Act (RESPA), which prohibits kickbacks, and the Consumer Financial Protection Act’s prohibition of deceptive business practices. The CFPB has pushed for a settlement, says Zillow, which maintains the program complies with the law. The Bureau is now considering legal action against Zillow, according to the filing. The CFPB’s investigation involved Zillow’s so-called “co-marketing” program that allows mortgage lenders to pay for a portion of a “premier” realty agents’ monthly cost to post listings on the site. The Washington Post notes that premier listing agents pay hundreds, if not thousands, of dollars a month in order to receive leads on prospective home buyers. Under the program, lenders can pay for a portion of these agents’ costs. In some cases, more than one lender can pay to co-market with a premier agent. In these instances, the lenders could be paying for a majority of the listing agent’s monthly costs to advertise on Zillow. Once the lenders pay for a portion of these costs they are allowed to place their ads on that agent’s listing. These ads are presented as an option for potential buyers to finance their homes, generating new leads for the lender. While the CFPB declined to comment to the Post, legal experts note that the agency likely investigated whether or not the co-marketing arrangement was in violation of the RESPA. Under RESPA, it is prohibited for loan officers or lenders to pay for referrals of business. Back in January, the CFPB ordered Prospect Mortgage and three other companies to pay more than $5 million to settle allegations they participated in an illegal kickback scheme. The CFPB accused Prospect Mortgage of paying real estate brokers ReMax Gold Coast and Keller Williams Mid-Willamette, and lender Planet Home in exchange for referrals of customers purchasing homes. In its consent order [PDF], the Bureau claimed that the companies violated RESPA by using an unnamed third-party website’s ads to pay for referrals. The Bureau’s description of this process sounds strikingly similar to Zillow’s co-marketing program. For its part, a rep for Zillow tells the Post that the company believes the program is lawful and that it will discuss the allegations with the CFPB. Consumerist has reached out to both Zillow and the CFPB for additional information on the investigation and possible enforcement action. We’ll update this post if we hear back.